However, the real power comes from leveraging your unique data to create custom segments. Better yet, if you create a handy segment, it is easily shared with other users. and choose the profile you wish to view your segments for. This will give you a URL that will share the segment. Sharing segments does not share any data or permissions, so it’s safe to share with anyone. Here are a few segments I have found helpful across many Google Analytics accounts. Simply click the link and follow the process above to add to your own Google Analytics account. I find this a pretty helpful segment to monitor the percentage of (not provided) traffic for different clients. The default Google Analytics Mobile segment includes tablets. However, since ease of use of a non-optimised website is much better on tablet than smartphone, it can be really helpful to parse non-tablet mobile traffic out and see how users on a smaller screen are behaving. Note: Why didn’t I just create the segment to exclude Mobile = Yes? Depending on your site, you may get traffic from non-mobile, non-desktop sources like gaming devices. This segment adds a little extra specificity, to try to narrow down to just computer traffic. Note: Medium containing “social” will capture any additional social networks that might be relevant to your business, assuming you use utm_ campaign tracking and set medium as “social”. Note: Is there a social network relevant to your business that’s missing? Once you’ve added the segment, it’s yours to modify! 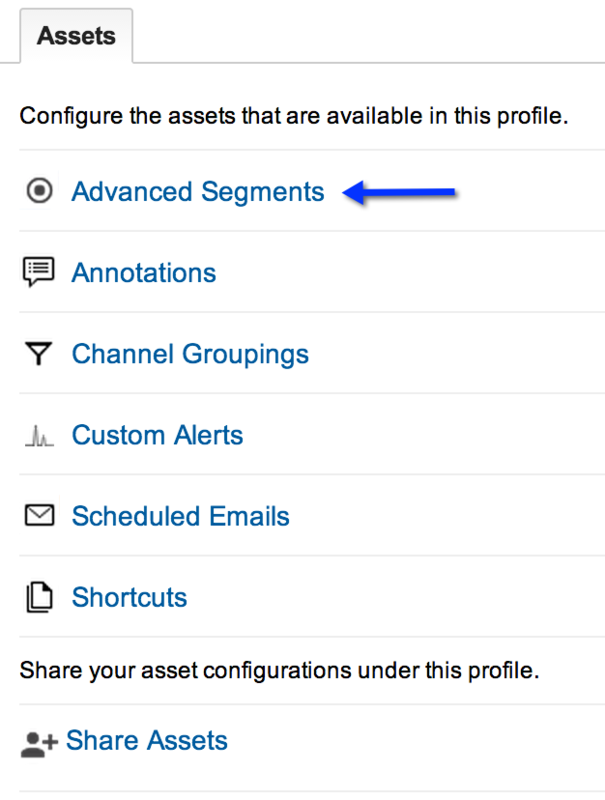 Remember, once you add a shared segment, it becomes your personal Google Analytics asset. Therefore, if there are tweaks you want to make to any of these segments (for example, adding another social network that applies to your business) you can edit and tailor to what you need. Do you have any favourite Advanced Segments you use across different sites? Share yours in the comments!